To keep your visitors coming back, it’s essential to make your website user-friendly. All of us, at one time or another, have encountered a website that makes no sense. It takes too long to find what you’re looking for, and it’s a pain in the behind. I don’t know about you, but it certainly doesn’t make me (a potential customer), want to come back for more, and I’ll probably get frustrated and x out of the page reasonably quickly. A customer-centric mindset will help you achieve the difficult task of making sure your website is user-friendly. Ensuring that your website is easily navigable is crucial. Don’t make it hard for a consumer to find precisely what they’re looking for! It’s important to include a menu or links that are easy-to-follow. Any essential information must be easy to access from the main menu. You may want to consider creating a drop-down menu to make it even more simple for a customer to go directly to the page they need. It’s important not to design your menu to be too long. All links and menus on your site must function properly. Not only are broken links frustrating, but search engines will also penalize you for them. If you offer a wide range of products in multiple categories, you may want to consider breaking them down into more specific groups to make them easier to find. Designate a special section for promotions. After all, aren’t we all on the never-ending pursuit of the best deals? A promotions section will go a long way. 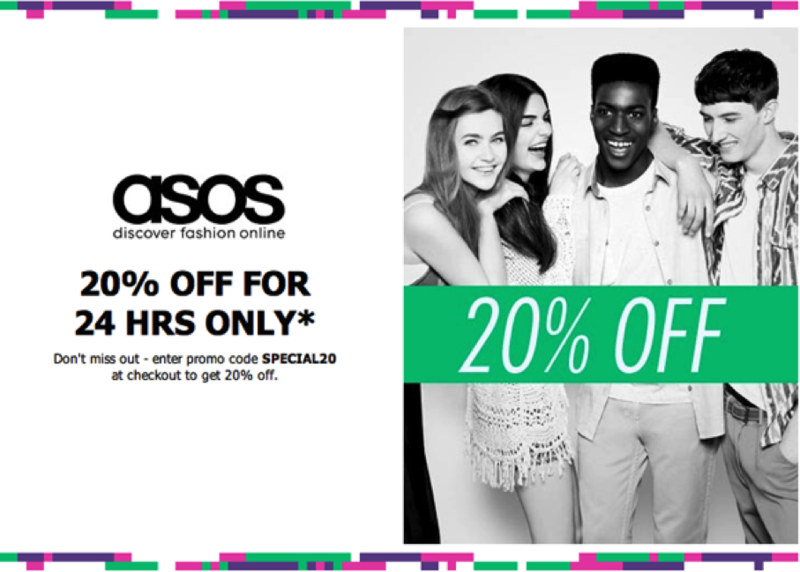 Asos sees massive success from their sales and promotions. They understand what their customers want and highlight their promotions in a special section. It’s imperative for your website to be responsive. That means it must work on any device, whether it’s a smartphone, tablet, laptop, desktop or even a gaming system. There should be a consistent user experience across all platforms and devices, so your customers always know where to find what they need. A search bar is vital. It will help site visitors navigate your site more quickly than clicking through links. A big search bar on Barnimages homepage helps visitors quickly find free images. Link product pictures to their description. It’s essential, as not all your customers will know the precise name of a given product. However, if they can click on a photo, the site will guide them directly to that product. If your goal is to highlight a specific product or service, a simple color scheme will allow you to feature it better. For example, Apple takes a simple design to new heights in a way that allows their products to be the hero of the page. If you need to display multiple products or services, you’ll likely favor a more dynamic design. This lets you highlight several products or services at once. 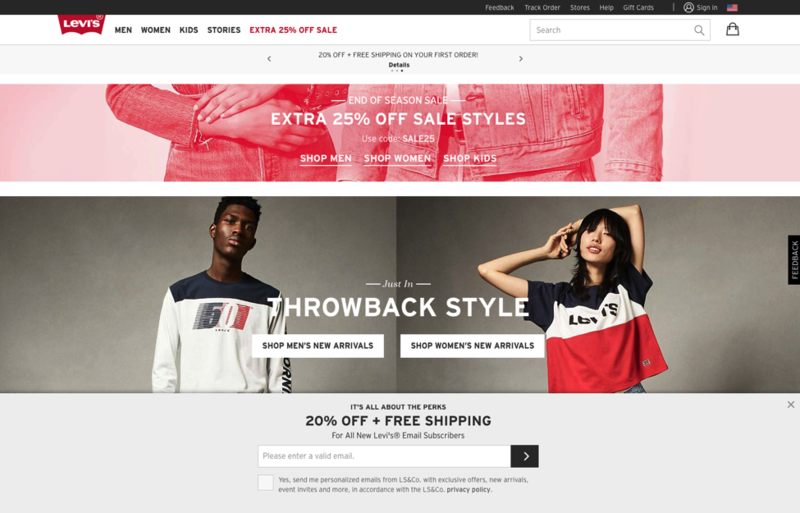 We already gave Asos a shout out for having a great promotions section, but their site is also an excellent example of dynamic website design. There should be a unifying, easy-to-follow theme across your whole site. One trick is to implement your brand’s colors into them. Keep it brief. Short paragraphs are more readable. Long paragraphs should be avoided unless necessary. Use pictures to break up blocks of texts and to compliment explanations. This will aid visual learners. 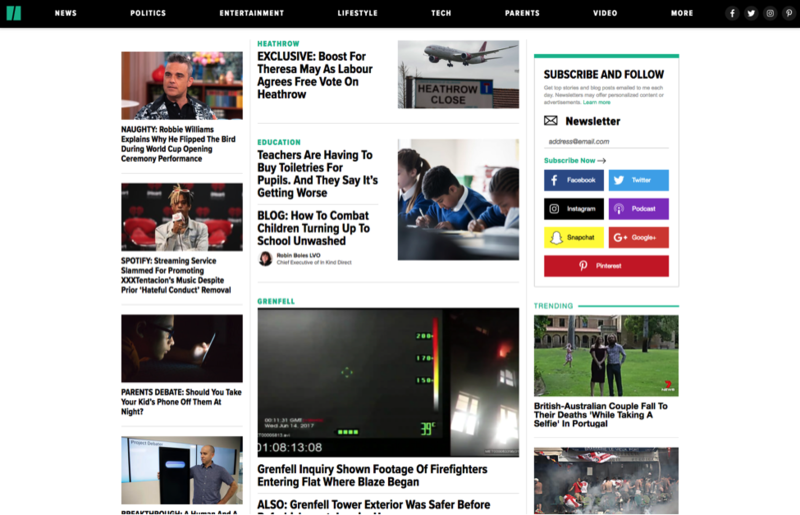 One site that does a good job demonstrating the importance of visual content is The Huffington Post. To better showcase current offers and promotions, make them the focal point of your site. You don’t want the customers you’re targeting with the advertising to miss out. Clumps of information are never ideal. Spread out the info on your site evenly to avoid an overwhelming user-experience. The color scheme you choose is equally as crucial to the way you display your content. You will not be doing yourself or anyone else any favors by using colors like neon green or yellow that strain the eye. You’d need a solid reason to put them to use. Take a peek at a color wheel to gain an understanding of which colors may complement or contrast one another. Sometimes, it’s hard to argue with evidence. 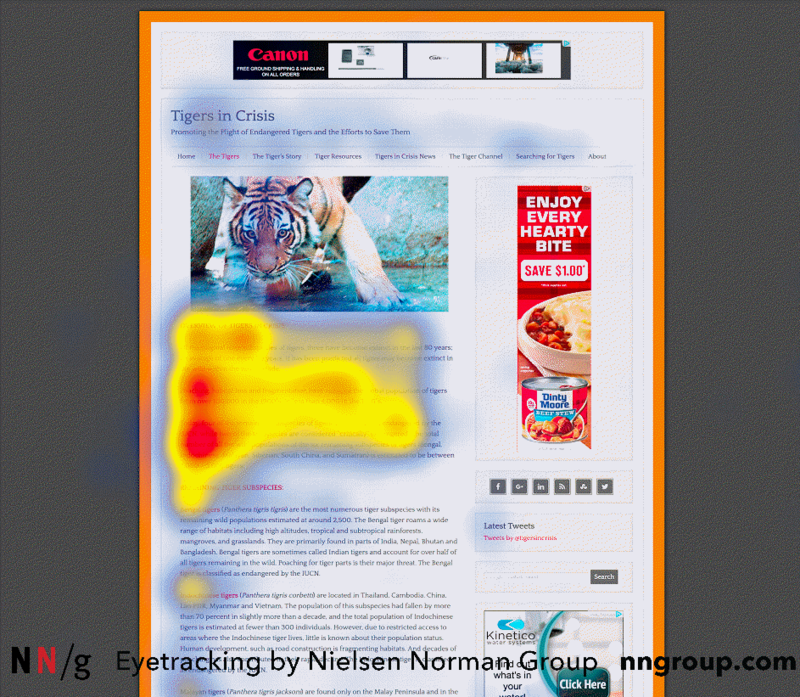 The F-Layout places your most vital information where the eyes of your site visitors tend to wander. The image below was captured with an eye-tracking camera and demonstrates how a viewer favors this layout. There’s a reason so many successful companies employ this design on their website. Don’t let stray pages go unkempt. Ensure that every page a visitors sees is just as visually appealing as the one before it to guarantee a unified, quality design. There are some things that visitors are simply used to seeing in certain places on a webpage. For example, your Contact, About Us, FAQ, and other comparable links are generally found in the footer at the bottom of the page. Remember, the people who find their way to your site are looking for something. Targeting your content to their needs is a great way to make it appealing to them. To accomplish this, you’ll need to do a bit of research. Gain an understanding of who it is that is buying your goods and services. Build a profile of your ideal customer. Understanding what it is that your customers and leads want will help you highlight those items on your site. You can’t please all the people all of the time. Some of your products or services just won’t be for everyone. That’s why targeting is essential. For example, Levi’s targets their clothing to a younger audience who wants to remain fashionable, classy and modern apparel. While they may actually have a wider audience, their page is targeted to a younger demographic. It’s important to know which of your goods and services may be seasonal and the appropriate times to highlight them on your site. This will help you capitalize on them at the time when they are primed to sell. Don’t fix what ain’t broke. If it’s working, let it hum along. We all like the familiar. Don’t make it difficult for returning customers to find what they want. The urge to optimize can be real. Just be sure you run tests in small steps to avoid multiple variables and to avoid dramatic changes. Tweak it as you go and are starting to see results. Your audience should determine the color scheme and theme you choose. While an older audience may prefer a more simple design, the younger generations are more likely to be attracted to a more colorful format. A user-friendly website is essential to a thriving business. While it’s not always the most simple project, you can make it a whole heck of a lot easier on yourself by following the three-step strategy detailed above. The first step is to make sure that your website is simple to navigate. Having easy to find and follow menus and links is imperative. You must also look at your site through the eye of the consumer, to really understand the user experience. Ask a friend or family member to take a look as well. Sometimes, it’s easy to miss small details since you’re already familiar with everything and what makes sense to you might not to others. It’s also crucial to have a responsive website that will correctly display on any device. The mobile experience should match that of the desktop experience. A consumer may first see something on your site and then later look for it on their smartphone or tablet. It would be incredibly frustrating to look for something you saw in one section on your computer and then not find it there on your mobile device. The next step is the design of your website. This is dependant on the type of goods or services that you sell. If you’re looking to feature one primary product, a simple layout that highlights it is best. On the other hand, if you offer a wide array of products or services, a more dynamic theme will help you to showcase all of the items you offer. The color scheme is a large part of your web design. Make sure the copy on your page is easily readable. You don’t want to make things difficult for your visitors. And let’s not forget the ever-popular F-Layout employed by many successful sites. The final step is to ensure that your website is targeted to your audience. It’s essential, as it is infinitely easier to sell to your audience when you know just who they are. Creating a customer profile or persona will help you to identify their needs and even see if you should have a more simple design for an older audience or a more modern design with a bit more color and flair. Please remember, don’t make changes for the sake of changes. If it’s working, let it go. You can upset your loyal customers who are comfortable with your site as is. However, testing and research can help you to make improvements to your website. Two excellent resources to help you with this are thenextweb and generalassemb.ly. Remember, it’s important to try and experience your website as your customers would. Think about how you navigate a site when you’re looking for something. Take note of what you liked or didn’t like. Is there something you would want to improve upon or do completely different? These experiences will help you to design a user-friendly website that works both for your customers and your business. Jamie FitzHenry is the founder of Grizzly, a digital agency based in Bristol and specializing in helping clients enhance their online presence through Web Design, SEO, and PPC.